Nature will typically provide at least two pathways or redundancy for anything that is critical to the survival of life. Consider that we have two arms, two kidneys, two eyes, two lungs, etc. If you want to get more technical consider there are two substances to allow homocysteine to go to methionine [trimethylglycine (TMG or Betaine) or the combination of folate with vitamin B12] for the methylation cycle for the expression of genes. The discovery is a substance that works along some of the pathways of vitamin D and enhances the action of nutrients and more. The remarkable thing about the action of this form of policosanol, as described in the patent, is that it does not drive up serum calcium. This has always been the issue with simply giving the hormone form of vitamin D to patients. Imagine anything that can work on physiological systems of the body without side effects. This natural substance has been consumed forever. Could this be the gift for an extremely healthy life? Like vitamin D in animals, it is also produced by the sun on plants and in many of our foods. The issue has been the ability of the body to absorb it so that it can get to where it needs to be active. The new discovery is the effectiveness of a small droplet sized emulsion of policosanol. Policosanol is found as a waxy aliphatic alcohol on the leaves of sugar cane and in the husk of many grains and in other plants as well. This may be reason that diets like the unprocessed paleo diet are so effective. In conversations with Dr. P.R. Raghavan, he describes the finding as nature’s way of providing a pathway to health for animals who cannot obtain their vitamin D from the sun. He states that his discovery came from observing rats. The first thing that rats do is to eat grass when experiencing long periods without any exposure to sun. Grass makes the waxy alcohol on its leaves. “Rice-field Rats primarily reside in cultivated areas such as rice paddies and grasslands. It [where they reside] is largely dependent on human rice fields and plantations. Rice field rats shelter in burrows in soil, under rocks, and in logs”. It now makes me wonder when I see a dog eat grass if they are trying to achieve health from policosanol. Animals will do whatever is necessary for survival. Dr. Raghavan has been vigorous in making this understanding. Consider the elephant with its hard dermal layer. How does it get its vitamin D? Or is its health from eating the policosanol in all the plants that it consumes. “Asian elephants eat a wide variety of plants including grasses, shrubs, bamboo etc. While more than 100 different species may be eaten, only about 10 to 25 foods are likely to make up more than 8% of the diet. The percentage of grasses versus browse eaten varies seasonally; the nutrient value of grass is greatest early in the wet season, while that of leafy browse is higher in the dry season. Elephants do show choice in feeding: foods eaten do not necessarily match foods available. Crops such as bananas, sugar cane and paddy (rice) are favoured.” The sugar cane and paddy rice are very high in policosanol. The serum concentration of 25(OH)D for elephants is low compared to what is considered healthy for animals at an average of 16 ng/ml. From Dr. Raghavan’s Into to Metadichol: “In the late 1880’s Dutch physician, Christiaan Eijkman was sent to the East Indies(now Indonesia to investigate why beriberi was so widespread in the region. Eijkman observed that hens in his Jakarta laboratory suffered symptons of nerve disease (polyneuritis) that were strikingly similar to those for beriberi – including muscle weakness, nerve degeneration, and paralysis. He then began a series of experiments to try to find a culprit organism, which he assumed was the cause. He showed that the hens contracted the beriberi like polyneuritis soon after their feed was changed to polished rice – that is, rice whose outer husk had been removed. He also proved that by adding rice bran (the parts removed in polishing) to the hens’ food, the disease could be cured. The outer Husk contains Metadichol (policosanol).” We should clarify here that beriberi is commonly thought to be caused by vitamin B1 (Thiamine) deficiency, but Dr. Raghavan believes that the lack of policosanol was also a cause. Emulsions are liquid colloids of droplets that are typically less than one micron in size. If you think about homogenized milk, it has fat droplets that range from 300nm to 500nm (0.3 microns to 0.5 microns). There are many small sized droplet emulsions that we normally use. Think about sugar in water, soap in water, or a supplement like vitamin E, vitamin A, vitamin D, vitamin K, etc. in water. The droplet size of the patented emulsion of policosanol, Metadichol®, is about 50nm in size. This allows for easy absorption through the gut wall or through dermal layers if used topically. Let’s take mast cells as an example in an autoimmune response. The mast cells become over active causing significant inflammation. The Metadichol®, name given in the patent, binds to the mast cell VDR and calms it down. As a result, the inflammation that is being caused disappears. 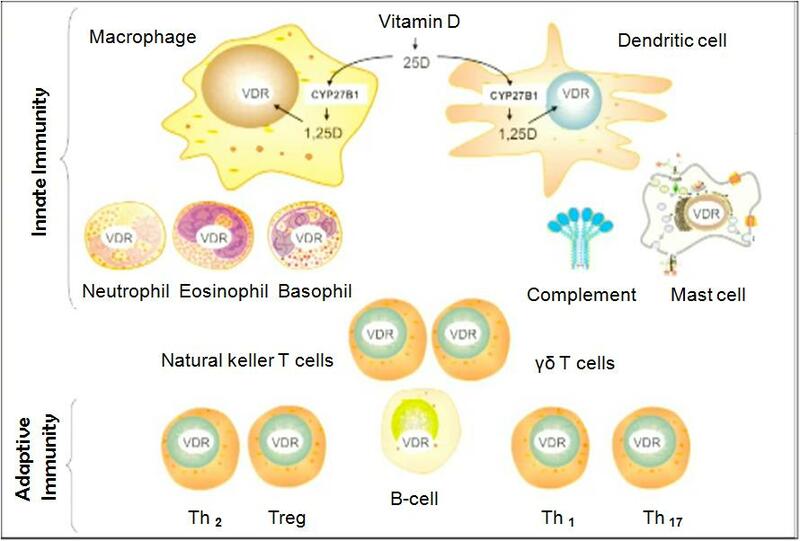 Dr. Raghavan says, “Based on our invitro and invivo data Metadichol ® behaves as an agonist for one receptor and an antagonist or neutral antagonist or inverse agonist for another receptor.” The many cells that are involved in an immune reaction and other physiologies with the VDR makes the possibilities for health unlimited. I thought a unique way of determining the answer to this question is to look at past pandemics. I also decided to look at just bubonic plague outbreaks as this is well documented over the last fifteen hundred years. There have been three major outbreaks. Robert A. Dull of the University of Texas believes that this reduce solar incidence occurred because of a volcanic eruption in El Salvador. The volcano is named Llopango and its caldera forms Lake Llopango that is 11 x 17 km near the city of San Salvador. There is enough scientific evidence that Dull is certain the ash cloud from this eruption was the cause. It is interesting to note that the disease was carried by rats, a nocturnal animal. It is easy to understand that nocturnal animals would have a much lower opportunity to receive vitamin D from any source. It is estimated that the plague killed approximately 50 million people in the Roman Empire alone. This outbreak was believed to have begun in Mongolia in the earlier 1330’s. It then spread to Europe as merchant ships arrived from the Crimea in approximately 1347. It is reported that approximately a third of the population was killed in Europe. In looking for volcanic activity, I found that Mount Tarawera (New Zealand) erupted around AD 1315. The ash thrown from this event may have dropped temperatures around the globe and precipitated the Great Famine of 1315–1317 in Europe. This was also the start of the Little Ice Age. Again, we find significant reduction in solar incidence. Also, I would imagine people started to wear more clothing because of the cold. It is interesting to note that the world’s population increased in areas other than Europe. The third outbreak started again in Eastern Asia in approximately 1855. It was mostly localized. It then spread to the rest of China and India in the 1890’s where approximately 12 million people died. I found volcanic activity from another major eruption of Mount Tarawera in 1886 and Krakatoa in 1883(Sunda Arc). Again the eruptions occurred just a few years before a major outbreak.